We live in a constantly connected world. We have the technology and the resources to help us stay updated not just about our friends, family but even our home and its appliances. 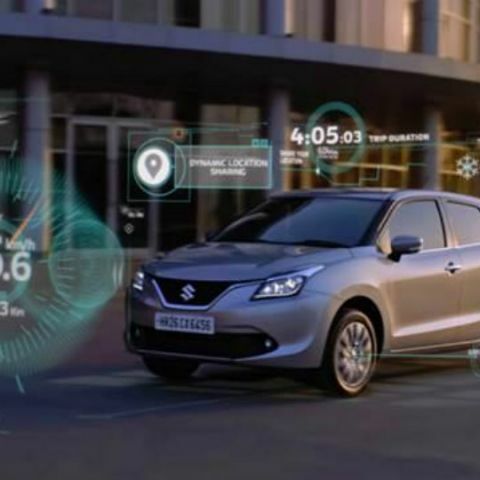 Now, with their advanced telematics solution, Suzuki Connect, Maruti Suzuki is offering customers a way to stay connected with their cars also. So, what is Suzuki Connect? Well, have you seen any TV show or movie that features talking cars? Imagine Suzuki Connect as the first step to eventually getting there. With the device in place, your car will be able to ‘talk’ to you by keeping you updated with regards to its vitals, location and much more. You will receive information about everything you need to know about your car through the NEXA app on your smartphone. It uses a Telematics Control Unit (TCU), which exchanges information through a cellular network with a centralized service connected to NEXA customer care, and its multitude of features help you stay updated with your car’s vital stats at all times. Let’s take a look at what all Suzuki Connect has to offer. Suzuki Connect lets you keep track of your vehicle at all times, so you always know where it is. This includes real-time tracking of location and also geo-fencing, which will allow you to create up to five boundary areas for your vehicle. In case the car goes beyond the designated area at any time, you will get a notification. You will also be notified if Suzuki Connect detects that the car is being towed away. Finally, you’ll be able to share the location of your car with your loved ones. This feature gives you important information about your car straight via your smartphone. This not only includes low fuel alert but also lets you know if the vehicle crosses the speed limit set by you. It also lets you toggle the Trip on or off, and get an alert at the start and end of each trip, along with a summary. Besides this, you can also get information about the various aspects of the car such as odometer reading, fuel level, battery voltage and more. Suzuki Connect gives you a thorough understanding of your driving habits, and as a result helps you become a better driver. It will analyze your driving performance over single or multiple trips on various parameters such as acceleration, braking, speed and more. This data is then used to give you a driving score giving you a quick understanding of how well you drive. With its Emergency Alert feature, Suzuki Connect can help you get a little peace of mind over treacherous roads. In case the system detects an accident with your vehicle, it will notify the selected contacts instantly. The notification will also contain the precise location of the car. Further, in case the system detects that something is wrong with the car, you will receive a call by the customer care team and will be offered immediate towing/technician support for the same. You can also get in touch with customer care manually through the red ‘calling’ button in the app. Last but not the least is the Service Due Reminder feature of Suzuki Connect. Car maintenance is something that is always at the back of our minds but is often neglected. Thanks to Suzuki Connect, you can enjoy automatic reminder to get your car serviced. Reminder will be accurate and more convenient as it will be sent basis your actual odometer reading. What a relief! What makes Suzuki Connect even more impressive is the fact that it is integrated with the engine of the car, so you don’t have to worry about anyone fiddling or tampering with the system. The Suzuki Connect system is available to all NEXA customers at a price of Rs. 9,999 for a three year subscription. In order to apply for the service, visit the website or any NEXA showroom or service center. With so many amazing features on offer, it is not very difficult to seriously consider getting Suzuki Connect installed on your NEXA Car.